The Enga Province will host its annual cultural show on the 9th to 11th August 2019. Wabag Town will be the venue where the event will be staged. 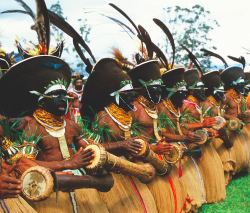 Visitors will be privileged to see a spectacular display of culture unique to Enga, especially the amazing Sili Muli dancers with their iconic black-painted faces and unique headdresses.